Affected Zone Tactics is the new free-to-play PvP MMO game, in which you will participate in amazing, turn-based tactical battles. In this strategy game, you’ll take the role of a Commander of a small mercenary group that embarked on a journey into a mysterious parallel world in search of ressources. You will have to prove your mettle and your strategic talent to defeat the other players. Participate in exciting PvP battles with the goal of capturing the enemy’s flag. Fight back to back with your Friends, try out the different playing styles, the several mercenary classes and enjoy the tactical battle system. 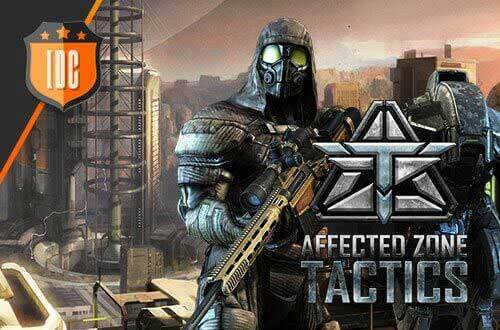 Don’t miss out on it and check out everything Affected Zone Tactics offers you! In this PVP game, you have a wide range of upgrades available. Ascend in military rank to upgrade your character. The higher you rank, the more upgrades you can use—the barracks, better equipment and weapons, etc. Your military career is a big part of your strategy, but so is your mercenaries’ career. You will have to train your team and supervise your soldiers. Don’t leave them in the lowest rank, since they will make you stronger if you upgrade them. Use and research all types of weapons and with your experience, you will become a War Specialist. If you’ve always wanted to become a great General and always had team spirit, this is the perfect free-to-play online game for you! Enter Affected Zone Tactics now!